The appetite for multi let industrial investment premises remains strong as evidenced by Brown & Co’s promotion of the West Street Industrial Park. 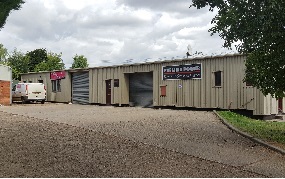 Brown & Co were instructed by a private client to sell this multi let industrial park extending to 13,505 sq ft. The property comprises 9 units which are all fully let, being located approximately 4.5 miles west of Banbury, which has direct access to Junction 11 of the M40. The Estate is situated in the heart of the village of Shutford in a self-contained site extending to approximately 1 acre. Being at the centre of the village there is the potential for residential development on the site in the future. Individual units range from circa 800 sq ft to 2,600 sq ft, and each is let on relatively short term three year leases providing a total rental income (as at September 2016) of £69,825. With mid-term rental increases the gross rent will rise to in excess of £70,000 per annum. Having agreed a marketing campaign with the client the property was launched to the market in August 2016. As expected significant interest was generated through existing contacts and traditional marketing methods, culminating in closing of bids being invited in early October, resulting in terms being agreed in excess of the guide price of £650,000. The gross yield will be in the region of 9.25 - 9.75%. The property is now sold subject to contract with exchange and completion due prior to Christmas 2016. Multi-let industrial estates such as West Street offer investors a viable alternative to main street blue chip investments whilst delivering a lower risk approach due to the multi tenanted facility. Proactive management is key to maintaining an attractive yield and high occupation rates, which is a service Brown & Co offer.